Now that it’s autumn, most people are welcoming the cooler weather and enjoying the beautiful fall colors. However, if you own a flat, commercial roof, this is also the season when your roof faces specific seasonal challenges. That’s why it’s important that you have it inspected now before winter arrives. Here are some of the common issues that a commercial flat roof encounters in autumn, along with what is entailed in a typical fall roof inspection. Autumn leaves that aren’t raked away are not only problematic to lawns, but they can also damage roofs and gutters. Organic materials that accumulate on a flat roof can easily become ensnared in moisture, leading to mold and fungus growing, which can shorten the longevity of a flat roof. Furthermore, fall is a time when temperatures drop. When they plunge below freezing, standing water on a flat roof freezes, and then it thaws. This causes splitting along the joints of a roofing membrane, which results in leaks and seepage issues that create severe damage. Dropping temperatures can be accompanied by snow and ice, which build up, creating problems. 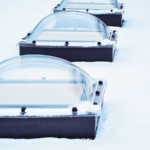 Blockage from snow and ice traps moisture. Then, when snow is melted from the sun, problems from ponding water can occur, which is the primary problem of a flat roof. Additionally, the weight of snow and ice creates stress on the roof. Gutters can also play a huge part in how your roof functions, so you need to have them inspected and properly maintained. When gutters are blocked, this can encourage ponding water. A typical fall roof inspection includes both a full exterior and interior examination. For example, the exterior inspection involves an inspector checking for wear and tear, leaks, roof shingle conditions, incorrect flashing and chimney work. 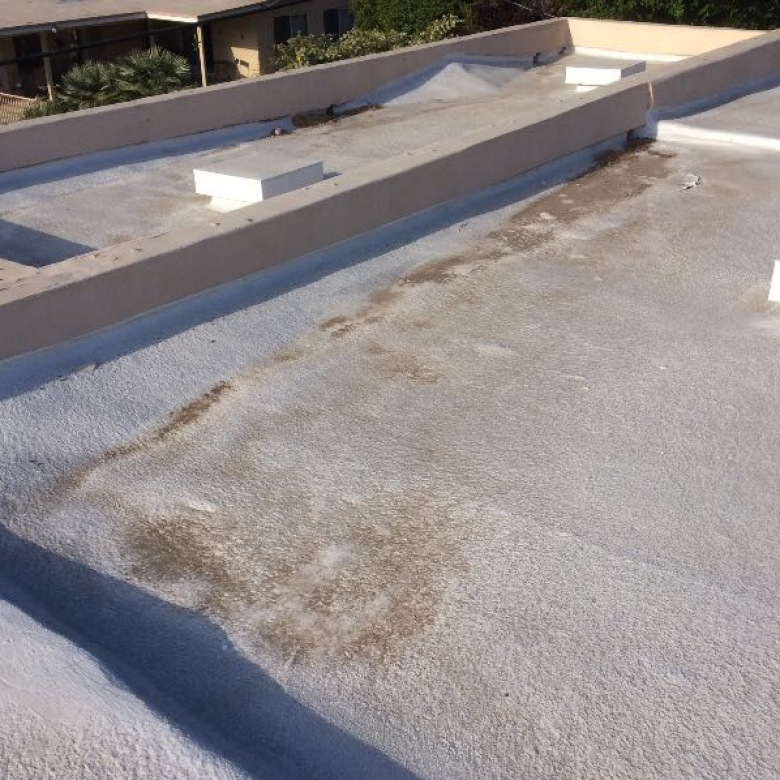 Your inspector will look for any places where water can accumulate, such as roof valleys. A professional roof inspector checks the roof flashing. This entails noting any cracks along the seams as well as splits and areas that look worn or fatigued. It also includes checking walls and expansion joints, besides the perimeters that have been affected by extreme temperature changes. Another important checkpoint in a fall inspection is observing any overgrown landscaping, such as heavy tree branches, acorns and other vegetation debris, which can lead to roof damage. Skylights should be checked for cracks. If you notice these problems, don’t try to resolve them on your own as this can be risky. Instead, give the job to a professional. An interior roof inspection includes examining the attic for ventilation, correct insulation, moisture and mold. Your gutters should not have any debris and be well-anchored. In addition to cleaning out your gutters, you may need to install new anchors to provide correct drainage as blocked drains are one of the main causes of roof leaks. Gutters generally need to be cleaned about twice a year, but it’s a good idea to have them inspected and cleaned even more frequently, especially if a lot of trees encircle your building. When gutters sound exceptionally loud when shaken, it can mean that they are filled with shingle granules, which can suggest that your shingles are suffering from advanced wear. Before your roof inspector comes, collect all needed paperwork, pertaining to your roof, such as your roof’s age and prior repairs, besides any warranty documents. Seeing water damage or signs of leaks on a ceiling can probably mean there’s a leak in your roof. What’s more, it could also indicate that water isn’t correctly draining because of clogged gutters. If you live in an area prone to harsh weather and severe storms, it’s even more critical to have your roof inspected regularly. A roof that has a single-ply system should be checked for billowing, tenting, laps and open seams. An asphalt roof needs to have its surface inspected because it can easily lose parts of its gravel or granule covering. Built-up roofs that have warping, bare spots or curling edges need replacing. Common issues with metal roofs include corrosion, pitting and seams with gaps, which can cause leaks. Even worse, they can damage the underlay. 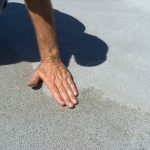 When you have ponding water on a flat roof, your roof is especially prone to leak, besides add weight to your roof. 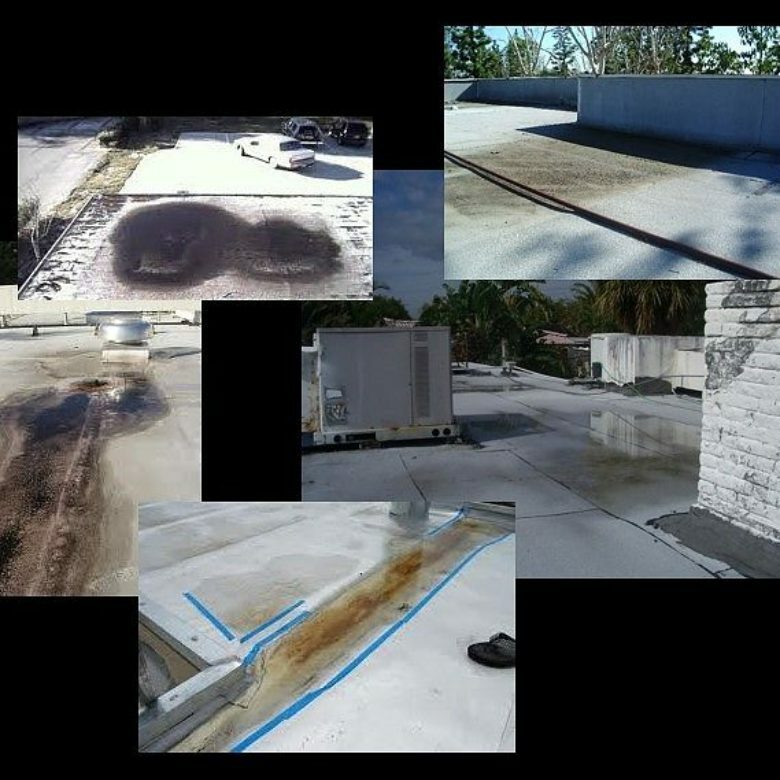 Thanks to our effective RoofSlope product, this issue can be resolved by filling in spots on a flat roof. Please contact us.